This ladies' watch exudes everyday elegance at the hands of Michael Kors. A rose gold tone case features a ridged bezel, encapsulating the sleek silver dial. 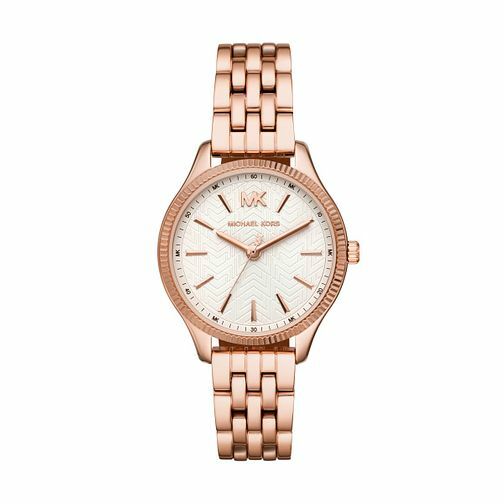 The Michael Kors logo is proudly presented in rose gold tones at the 12-o-clock position, co-ordinating with the linear hour markers and three hands. Complete with a classic bracelet, this rose gold tone timepiece is the perfect accessory for the fashionable female.